Being January, it’s the time of year when many of us set goals for the year and make some New Year’s resolutions pertaining to our businesses. Perhaps we have a certain amount of revenue we’d like to earn in 2016, a product or service we’d like to begin offering, or some content we’d like to get published. These are all excellent goals and I encourage you to set them, but I’d like to also encourage you to set one other type of goal for this year: a giving goal. What I mean by a “giving goal” is a way that your business can donate time, talent, or treasure to help make your community or even our planet a happier, healthier, or safer place to live. Why should you do this? Well, I could say that you should do it because giving a helping hand to those less fortunate than yourself is the right thing to do…but in case that isn’t compelling enough for you, consider the fact that just about every single highly successful person or organization in history has made a habit of giving back in some way. I’m not suggesting that giving back will guarantee the success of your business, but I do believe there is more than an indirect correlation between success and giving. This is especially true if you participate in cause marketing—in other words, making giving back such a big part of your brand identity that customers actually choose you over your competitor at least in part because of it. Toms is a great example of this—for every clothing product you purchase from them, they donate a product to someone in need around the world. Now, I’m not suggesting that you need to become the next Toms, but I do think it’s important that you find some way that your business can give back. There are many, many ways you can do this, many of which don’t even require any monetary contribution, but just in case you’re one of those less creative folks, I have taken the liberty of suggesting four possible ways your business can give back this year. If you have a service-based business, chances are there is a non-profit organization in your community that could benefit from those services but that might not be able to afford them. By donating your services to those organizations, they can focus more time and money on their core mission. In some cases, your expertise might actually be their core mission. For example, construction professionals like electricians, carpenters, and plumbers could volunteer their time on a Habitat for Humanity build site. Financial professionals could help teach financial literacy classes or serve as advisors on the board of a non-profit organization. Marketing professionals could donate their services to help non-profits with email campaigns or maintaining a website. I know that there are marketing consultants that specialize in working for non-profits, and I’m not suggesting that those people should work for free, but there are plenty of small non-profit organizations that can’t afford to pay for marketing assistance but who could really use some help in that area. Marketing professionals who donate their time to organizations like that often find that it’s a great way to meet leaders in their community who can afford their services. While donating technical expertise doesn’t have the same tax benefits of a monetary donation, it is in many cases even more beneficial to the recipient and is also a great way for smaller businesses without a giving budget to support an organization they believe in. Another way you as a business owner can give back this year is to mentor someone who is just getting started in your industry. This could be part of a formal mentorship program run by an organization like SCORE or your local SBDC, or it could be something that you do on your own. This can be a very rewarding experience for you and really make a difference in someone’s life. If you have had any amount of success as a business owner, chances are you had a mentor or coach at some point or at least got some valuable advice from people that helped you succeed. Why not pay it forward by passing along your wisdom to the next generation of professionals in your industry? If you have a business that sells physical products, you could donate those products to a local non-profit organization that could either use them directly or that could use them in a fundraiser such as a silent auction. Even if you don’t sell physical products, you could donate used equipment such as vehicles, computers, or tools to organizations that need them. If you don’t have anything to donate yourself, you could simply partner with a local non-profit and serve as a collection point for donations. You can reach out to your customers and get them to bring donations to your place of business, or if your business involves going to your customer’s home or business, you could collect items from them directly. Just about every community has a Goodwill store or Habitat ReStore nearby, and most people have items lying around the house that they don’t really need or use. If your business partners with one of these organizations to help them get donations from your customers, you can do a lot of good without having to spend one penny of your own money. While there are many ways your business can support causes and organizations that don’t involve financial contributions, direct monetary support is something that every non-profit appreciates and in fact needs to survive. There are so many worthy organizations and not nearly enough money to go around, and you may think whatever small amount you can donate makes no difference. I can assure you that this is not the case, and this is especially true when it comes to organizations that work in developing countries, where a dollar can buy a lot more than it can in the U.S. If finances are tight and you’re not sure if you can afford to give direct financial support to a non-profit organization, there is an easy way around this problem. Simply do what Toms does and tie your support directly to an increase in revenue. You can even tie it to one of your other business goals for the year—for example, if you want more customers to upgrade to your “gold” service plan, you can advertise that for each customer who upgrades to that plan you will donate x dollar amount to a local non-profit. One word of caution here—if you are going to make your financial support of an organization public, do your due diligence and make sure that the organization is using the money responsibly. Also, it’s probably a good idea not to publicly support controversial organizations or causes (such as political campaigns) unless you are very certain that 100% of your customers also support that organization. Otherwise, it could end up costing you customers who don’t want to support a brand that affiliates with a cause they don’t agree with. Between all the examples I gave above, hopefully you’ll be able to think of a way your business can give back in 2016. If you did think of something and want to share your commitment publicly, or if you are already giving back in some way, please leave a comment on this post and let me know about what you’re doing. 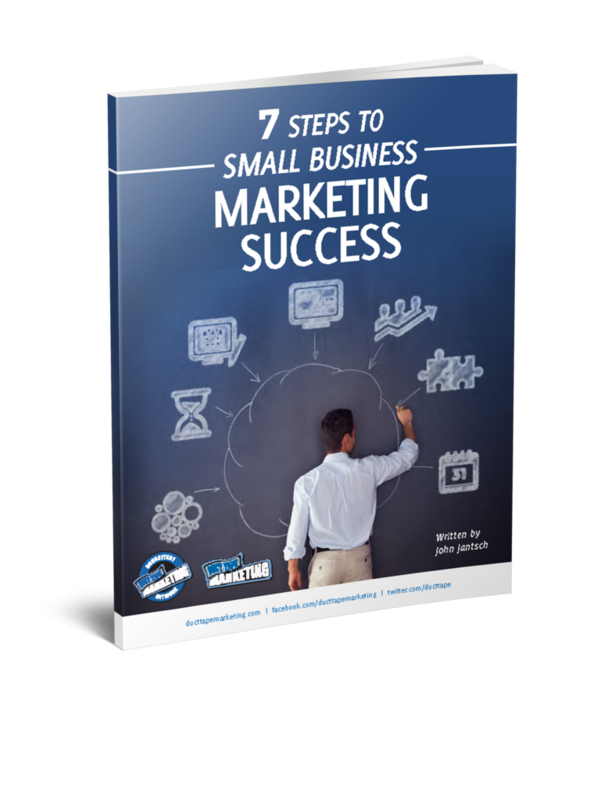 Kevin Jordan is a Certified Duct Tape Marketing Consultant, owner of Redpoint Marketing Consultants, and co-author of the best-selling book The Small Business Owner’s Guide to Local Lead Generation. 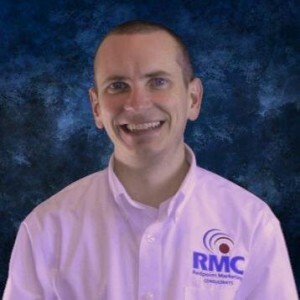 You can connect with Kevin on Twitter @RMCVirginia, and find out how he’s giving back in 2016 by visiting his small business marketing blog.